Blogging is a popular way to share your knowledge to other people. Most of the People make's blogging for money. For handsome blog income you need a professional blogging. But crating a blog by professional way, you need to know some techniques of blogging basics for beginners. Here I present you The 12 ultimate principal for becoming a successful professional blogger for blog income. Blogging is another meaning of offline book writers. But the difference is a blog publisher publish article in online. A Blogger create a blog on any subjects like science, technology, education or online blog income. Blogging for money is now a popular phenomenon in the world. Huge people use blogging for blog income. You may make your own blog for free and start earning money now. Blogging is for share your knowledge among the people by using website. By blogging, a blogger discovered the undisclosed knowledge. They present their knowledge among the people by systematic way. It's like a writer write book for express his knowledge. A blogger is different. He shares his by writing post for free. A blogging beginners need to know about web design, multimedia, blog marketing or blog promotion. A simple Blogging example is our Facebook status, Twitter Twit or Google plus share is like small blogging. Basically blogging for money is main motto of blogging. Before blogging you must be know about how to make money with a blog. There have huge blogger in online. But all the blogger are not a problogger. Professional blogging is like an art. if you want to be a professional blogger, you have to know about blogging like an art. You must do study more and more about your writing subject. And share this knowledge among the readers. A professional blogger made his blog as a brand, popular on the website. He also earns his livelihood from his blogging. What is the 12 ultimate principal ?? For becoming a successful professional blogger and blog income, I think now you have some basic concept about how to make a blog and where to start a blog. Here I present 12 ultimate principal for a successful professional blogging. if you want to be a professional blogger, you need to know about how to write an article spontaneously. Blogging is like a factory. Think about a paper making factory, it needs some raw material like bamboo, chemical, water and others. After processing all, paper is ready. Blogging is also like a factory. Here you need raw materials for blogging. First you need some good article then a good design and SEO. All the combination makes a professional blog. In the article, you have to share something important for visitors. So your readers attracted your blog. If they think the article is helpful for their future, they may share the article on social network and following your blog for the next post. But it's not easy to be a good article writer as a blogging for beginners. So what's experience you need for a good article writer?? Some skills may develop your writing ability. Here is five scales for improving your professional blogging skills. a. Language and grammar knowledge. c. Deep knowledge on article topics. Remember, good article writing is not a short time experience, you need a long time study on it . Here I give you some tips for being a good article writer. a. More or little, you need to write every day. b. Your Articles must be meaning full for your readers. c. Your article has to solve any problem of your readers. d. Every time you have to try on developing your article quality. e. Use different article structure for each article. f. Write killer article. The article which have an analytical discussion on a specific subjects. This article have 2000 to 5000 words. It's an important part of blogging for a professional blogger. We know that Google is world most popular search engine. Although various search engine are available like Yahoo, Bing. But the most popular is Google search engine. SEO mean search engine optimization. For a good visitors You need to write SEO friendly article. Either your article doesn't show on the top results. Because most of the visitors are come from search engine. So you have to need well SEO friendly article. SEO have a big knowledge schools in online. As a blogging for beginner, you can learn huge from online about SEO. For a good SEO, you need to focus on some specific matters. a. Blog title and description. b. Search engine crawling and indexing. e. Alter tag and anchor tag. f. Checking Google page rank. g. Use Google webmaster tools. SEO is must before being a professional blogger. You may learn this knowledge from internet. Or from YouTube video tutorial. Blog income is depends on more visitors. So SEO is very important. Authority is growing naturally by writing article on blog. A blogger write article, update article and present his knowledge by it. So many readers are read his blog every day. As a result there have an authorship grown. As like a book writer. If you think like a famous writer. You may guess his writing ability after reading his two to three books. If you think that he is a well writer, you may wait his next book. A blogger is same. His good article, analysis, design, presentation etc will build a good authorship. As a result, the blog have plenty of return visitors. And they will wait for your next post. Yes, every blogger should fix time for blogging. If you post irregularly, you may lose your visitors. Because most of the visitors come for reading your unique post. So you must be maintaining a time for posting. For example, you post in the morning and evening today. But after next three days you have no post. So readers are loss their interest for reading your blog. If anyone wants to be a professional blogger, he needs to post regularly. Data is the main raw materials of your blog. You know that the popular blog have so much unique long post. They present huge data on their blog. As a result they have huge visitors. by quality data you got huge visitors. And these visitors make authorities. So you must be choosing such kinds of niche for blogging which have huge data. Internet has huge databases. Huge blogger write on huge niche. They present data on it. So a blogger must be chosen his niche. Because, sometime you lost your blog article material for lack of data. Some blog was close for it. Before starting a blog, you may conduct small research on this subject. You must be considering that your niche will be interested to visitors and yourself. Yes, writing valuable content is another principal for a professional blogger. The visitors are coming for reading your blog for valuable information. So you need to write something which is valuable to readers. Basically there have two kinds of article. Regular tune is posted for update some news. 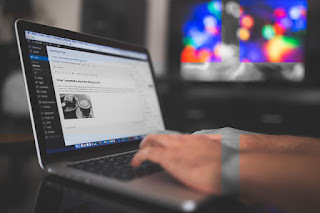 A professional blogger post for update some information about his niche. This article is around 500 to 800 words. For a good blog income, you need to regular post. Without regular post, you lost your visitors. This post is the main pillar of a blog. This post presented huge data on specific subjects. It's like analysis basis article. This article is around 2000 to 3000 words. A professional blogger present his analysis data on this article. Such kinds of article got more readers and more share. This article got more back link. So a professional blogger made his blog popular. For maintain a blog, you need some minimum expenses. But you can also run your blog two ways. Several company give free blogging platform. Google have free blogging platform. It's name blogspot. Here also another two popular free blogging platform, weebly and WordPress. Free blogging platform have some problems. You got an extension after your blog name. Like blogpairs.blogspot.com or blogpairs.WordPress.com. Huge people use free platform. But it's not a professional blogging platform. Two kinds of paid blogging platform's, one is hosting in Google and another is hosting by paid suppliers. After taking a paid hosting and domain, you got domain like blogpairs.com . There have no extension after blog name like blogspot. a professional blogger blogging for money. Most of the professional blogger think to earn by their blogging. They income by viewing ads on their blog, paid article and others. So many way of blog income. First you need to know how to make money with a blog. Did you imagine how much a earn by blogging?? It's 100$ to 50000$ US dollars per months!!!! There have so many option of blog income. Here I give you some platform. A professional blogger must have self discipline in his work. Because without a self discipline, you cannot regular on your blogging. You have to more study on your blogging niche. Without more data, visitors cannot interested to visit your site. After all, a professional blogger have some secret technique of his own. You have to trying more for developing your writing skills. You can also follow our article.